While Southern California beaches are synonymous with sun, babes and hunky lifeguards, the beaches of the Central Coast are more laid-back and uncrowded. Many are sandwiched between high cliffs and bluffs, while others are tucked into coves where lucky beachgoers can get away from it all. 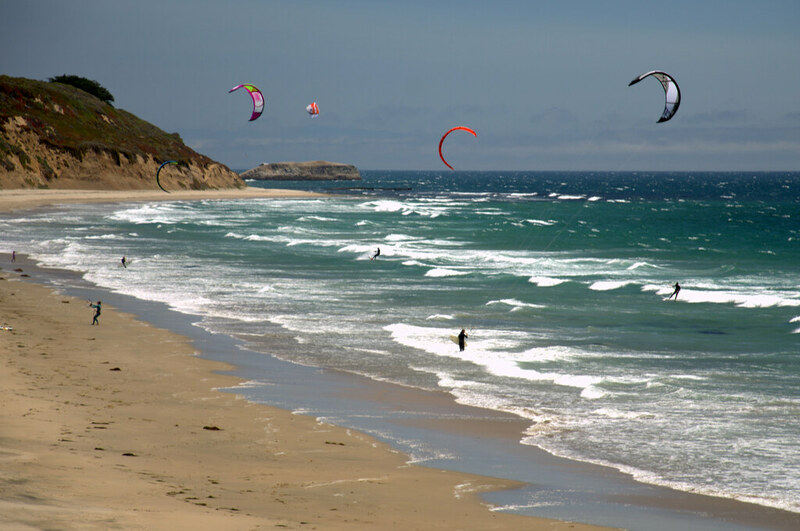 Whether you are looking for big waves or beaches with purple sand, here are some of the most picturesque beaches in Central California. The first waves surfed in the continental United States were ridden in Santa Cruz by the Kawananakoa brothers, Hawaiian royalty in 1885, and ever since then serious surfers have flocked to the beaches in this college town. While people and dogs run amok on most of the local beaches, the best place to hide from the crowd is secluded Fern Grotto Beach. You will need to take a small hike from Wilder Ranch State Park visitor center off the 101, but when you arrive, you will discover a grotto in a shallow cave at the back of the beach with emerald-colored ferns draping over the entrance, making this a perfect day at the beach.